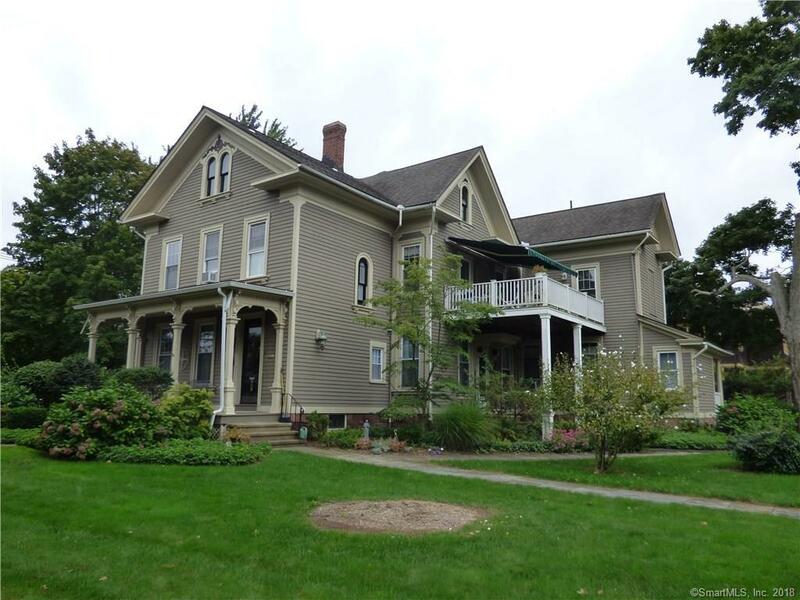 Walk to the center of Wallingford from this South Main Street Landmark 3 Family available for sale!!! This amazing 3 family has 3,050 Sq Ft of living space, 2 car garage and wonderful .48 Acre Lot!! Two First Floor units and One 2nd Floor unit! Gorgeous covered Porch leads to the 2BR 1st floor unit which has a beautiful light and bright white kitchen fully applianced with Stove, Refrigerator, Dishwasher, Microwave, washer and dryer in the unit, HW Floors & stunning woodwork! Huge 1,472 Sq Ft 2nd floor unit consists of 3 BRs, 2 Full Baths, Walk up attic access, HW floors, Applianced Kitchen with stove, refrigerator, dishwasher and door to Deck with retractable awning, a separate laundry room and the washer and dryer stay! The 3rd unit is a 1 BR first Floor unit with HW floors, kitchen has a stove and refrigerator and this unit has its own porch. Separate Natural Gas Heat and Hot Water Heaters, the two larger units have multiple zones! The lawn irrigation system makes the lawn gorgeous in the hot summers! This is a must see Home!! Directions: Center St. To South Main St. To #309 Which Is On The Corner Of So. Main & Parsons St. The Driveway Is Off Parsons St.